Syndication on the REBNY RLS starts today — but will it make much difference? The Real Estate Board of New York launched the long-in-the-works syndication service on its Residential Listing Service today. But as the industry continues to grapple with the fallout from StreetEasy’s plan to aggressively monetize listings, it’s still a mystery as to how syndication will impact the way renters and buyers connect with brokers. First, let’s be clear that REBNY has not created its own consumer-facing website. Instead, its syndication service will streamline the process for sending rental and sale information to listing websites, and the real estate group is relying on the free market to take it from there. 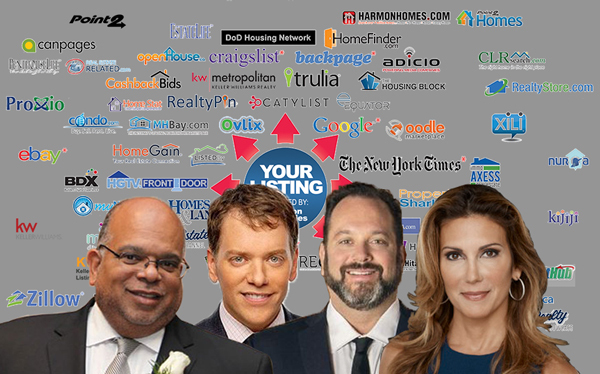 “During the ongoing rollout and expansion of syndication, more public real estate listing websites, services, and products will be added to the palette of options that brokers can select to increase listing visibility and the reach of New York City’s most accurate and consistent listing information,” REBNY president John Banks said. But residential brokerages executives said that right now, it is impossible to predict if this will shake up the industry. “We’re going to have to see how this whole thing plays itself out,” said Brown Harris Stevens’ Bess Freedman, a supporter of the system. After months of delays, REBNY’s RLS system debuted in late 2013. But it never really took off with brokers, who still had to take the extra step to send listings to consumer-facing websites like StreetEasy. In November, REBNY took the plunge and pumped more than $1 million into upgrading the patchy system, which initially was planned to be integrated with StreetEasy (as well as other third-party aggregators). The trade group increased membership dues to help cover the costs of the upgrade. REBNY’s RLS team has spent the last two months cleaning up data for the feed, which will be syndicated through one of two “administration hubs.” One of those hubs, Listhub.com, has a pre-defined list of 200 websites it syndicates to. The other, Bridge Interactive’s Cheque application (which, somewhat ironically, is owned by StreetEasy parent company Zillow), is more customizable and allows firms to syndicate to websites that are new to the New York City market. StreetEasy has said it won’t accept REBNY’s RLS feed. Firms are hoping the RLS syndication will open the gates to a new set of operators that aren’t already active in the city, tilting the balance of power back in their favor. Last month, the city’s top residential firms were in emergency talks over expediting the RLS in order to gain leverage against aggregators such as StreetEasy. The Corcoran Group and Citi Habitats said they stopped sending their rental feeds to StreetEasy effective July 19. BHS, Compass and Town Residential also announced they would not provide company money to pay the website’s new rental fee, though agents are free to pay for StreetEasy out of pocket. Compass and Citi Habitats declined to comment for this story, but they will be opting into the RLS. As of Tuesday morning, there were just over 17,000 rental listings on StreetEasy, nearly half of what the total was before the company instituted a $3 fee per day on each listing. “There are going to be competitors flooding the New York City market now,” said Town’s Andrew Heiberger, who believes RLS syndication will better streamline the firm’s process of sending out listings. Websites like CoStar’s Apartments.com, for example, which Town previously fed directly, will now receive its listings from the RLS. Town will still send listings to websites that are not signed up to the RLS, according to Heiberger, with the exception of StreetEasy. “We would reconsider our position if they changed their platform,” he said. Firms agreed that it’s too early to predict which websites will gain market share in a very crowded real estate tech space now that the RLS is active. Bond’s Wagner said the firm provides listings to places like Renthop.com, Apartments.com and Realtor.com. While Bond is still sending listings to StreetEasy, and bearing the cost of its rental fee, Wagner expects the other aggregators will start to see more traffic as StreetEasy’s content is diminished. Jordan Sachs, the co-founder of Bold New York, sees the RLS as an attempt to stop a singular operator from having a stranglehold on listings. “REBNY — with full support with brokerages — is trying to make sure StreetEasy is not the only source for sales and records,” he said. He believes, however, the smaller firms will take the lead from the larger operations, in terms of providing data to StreetEasy. “The firms that have more pull in the marketplace need to lead by example,” Sachs said. Unlike its main rival Corcoran, Douglas Elliman is allowing agents to use their marketing budgets to pay the rental listings fee. Elliman’s COO Scott Durkin said the company has seen a 31 percent increase in customers contacting Elliman agents. “We are seeing the benefit of not having a knee-jerk reaction and disappearing,” he said. Elliman will also be opting into the RLS, according to Durkin, although it will have to wait for some websites’ contracts to expire before the brokerage can stop sending listings to those aggregators. He said renters, sellers and buyers will easily adapt to the new arrangement.